After Pieter Malan scored his 28th first-class century and passed 9,000 runs in the same format, it seems only a matter of time before a Test cap rests on his head. Malan has been the form batsman for the Cape Cobras over the course of the last two seasons. The runs Malan has made are that much more impressive when considering that the Cobras have struggled in domestic competition. He was afforded an opportunity for progression earlier this year, but struggled for runs on turning tracks in India with South Africa A. Wicketkeeper-batsman Gihahn Cloete, meanwhile, grabbed his chance with both hands and bagged the runs he needed to earn an T20I call-up. Malan has an excellent List A record. His average across domestic 50-over innings is higher than his first-class average at 47.41. 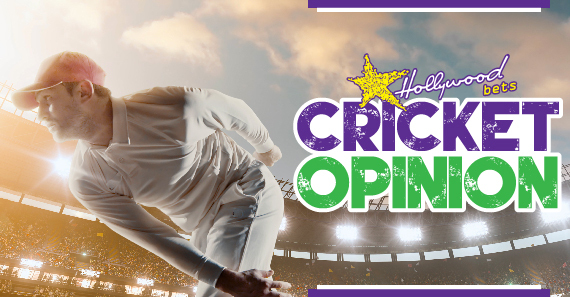 His style of play would have rendered him an excellent like-for-like replacement for Hashim Amla in the squad to face Zimbabwe, but coach Ottis Gibson opted for the experience of Dean Elgar. The 29-year-old has spent over a decade on the domestic cricket scene - and has displayed the quality most likely to bring success in Test cricket: mental strength. In the 2017-18 edition of what was then the Sunfoil Series, Malan averaged the highest number of balls faced per innings - and he recorded the most centuries with four. The problem for Malan might be that even if he is named in the squad, the Proteas top six is full of established names. He will be left to duel Temba Bavuma and Theunis de Bruyn for a spot down the order, unless an injury grants him a place higher up the pecking order. Before he gets there, though, Malan must make sure he stays at the head of the cue, where he will face opposition from the likes of the Lions' Rassie van der Dussen and his Cobras team-mate Zubayr Hamza. Hamza had an equally impressive 2017-18 campaign, ending with 828 runs at an average of 69. Both of his brothers Andre (27) and Janneman (22) have now joined him in the Cobras family - and the younger has already been earmarked as a bright prospect and possible future international. The Cobras' top first-class run-scorer last season is, on current form, the logical successor to Amla in the Proteas middle-order. Malan has shown the appetite for graft that a Test player needs and, though his strike-rate is conservative, he also knows how and when to smash the accelerator. One tough A tour to India should not discourage the Proteas from calling on Malan.